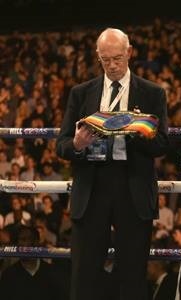 Bio: I am the owner of Ringnews24 and the KO Boxing Forum, I am 35 years old and live in Scotland, UK. I love watching and talking boxing with fans, and members can find me on Ringnews24’s KO Boxing Forum under the username the_budweiser. I particular enjoy interviewing boxers and watching old, new and classic fights. Bio: Lee has written for Ringnews24 for over 7 years and he helps run the site on a daily basis. He has been a fan of the sport of boxing for around twenty five years. He enjoys traveling to watch fights in-particular trips to Las Vegas for big fight nights. Lee also writes about movies in his spare time. Bio: Gav Powell lives in Hull, England. He enjoys reading daily boxing news and interacting with members on the Ringnews24 boxing forum. He follows boxing worldwide and particularly likes watching overseas boxing. Gav used to write for the BBC TV listings department, he has now owns his own computer business and in his spare time he edits articles for Ringnews24. Bio: Eric is well known in the boxing world for his extensive weekly round-up of world boxing results, detailing key action, from the last seven days. Eric also writes weekly snips and snipes. Eric has a vast knowledge and in his spare time he is a boxing supervisor. Bio: Rob Day has experience writing for Ringnews24, Boxrec and he has written for a boxing magazine called Bocsio. He lives in Wales and covers the South of Wales attending fights and he follows the sport rigorously. He can be found occasionally as a guest on boxing radio shows were he loves to talk boxing and share his opinion on the sport he loves. Bio: Nick is the newest member of the Ringnews24 team. He likes doing insightful lengthy articles and puts a lot of research into them. He has published several top 10’s and enjoys reading fans reply’s to his work. Bio: Scott has been following boxing for many years and he watches countless hours of boxing each week. His specialty is Asian Boxing and he covers the Asian scene on both Ringnews24 and Asian Boxing. His articles are very insightful and anyone who doesn’t follow the Asian scene can keep up-to-date by reading his articles. Bio: Jeremiah is a member of the International Boxing Research Organization. He writes for Ringnews24 and is a co-host at The Grueling Truth. In the past he has written for Ringside Report. He live in Denver, Colorado, USA. Bio: Tracey lives in England, UK. She travels to the big fight nights in Las Vegas and has been attending Floyd Mayweather fights for the best part of 20 years – that’s a lot of air miles. She watches boxing from the United States live and she follows the UK Scene. Bio: Dennis has followed boxing on and off since he was a kid and his dad used to tape the fights on the radio. Dennis got back into the sport properly about 10-years-ago and he is now a qualified boxing coach for the People’s Gym in Heywood. His twins (boy and girl) both box and his son is looking forward to his first skills bout very soon. Bio: Chris lives in U.S.A. He loves attending shows with press credentials and chatting to boxing stars and sharing his opinion. He likes to write about UK and USA boxing news and you can read various news story’s ranging from interviews to opinion pieces. Bio: John lives in UK and loves attending and supporting small hall shows. He lives in England, UK and attends local shows in London. He loves writing about boxing betting and particular likes when an underdog wins against all odds. Bio: Jon has been a fight fan for around 40 years, Jon has a Diploma in Freelance Journalism . As well as being an official with the British Boxing Board of Control, Jon is also a coach with the Declaration 1320 Boxing Club in Arbroath. Bio: Barbara lives in the United States and tries to cover as many fights as she can – which is never enough! She has been writing about boxing since the first series of The Contender, where she interviewed the loser of each match each week, and then the winner of the final bout. She got to do that for each season of the show and has been covering boxing ever since.